The path from purchase to payment at many companies is a long, complex path loaded with manual, paper-driven processes. The costs of that process are significant; Booz and Company says that streamlining them can reduce spending by one to five percent. To achieve those savings, simplify the process, and eliminate paperwork, many businesses are turning to e-procurement solutions that move the process online and flow data automatically. According to Ardent Partners, half of medium-size and larger firms already use e-procurement, and another 33 percent are planning to start soon. 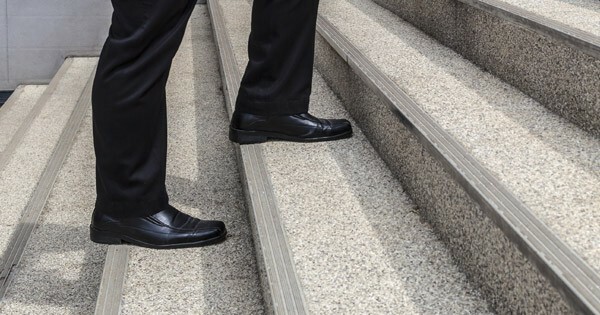 If you’re still considering it, here are three steps to help you achieve success. Succeeding at any project first requires understanding what success means. Although cost savings are a primary goal of many e-procurement projects, e-procurement can support other important goals such as providing management more control and better visibility into spending. Reduced cost: Costs are reduced throughout the entire procurement process. E-procurement changes relationships with the supplier, enabling procurement staff to negotiate price discounts based on volume and early payments. Online catalogs make it easy for employees to find and order the products they need. Because of electronic transfer of data, the process generates less paperwork, creates fewer errors, and requires less rework, all of which reduce the time and cost of the entire procurement and payment process. Increased visibility: Transactions are recorded in a central system, making data available for reporting and analytics. Access to data supports the oversight necessary to ensure compliance with policies and contract terms. Approvals workflows are automated, so management sees transactions as they occur. When e-procurement is fully implemented, any purchases that are made outside the system or otherwise deviate from policy are easily identified and directed for closer scrutiny. does the software provide the features you need? is the application modular, letting you select the functions you need, or is it all-inclusive? do the application’s hardware and operating system requirements fit with your IT architecture? if the application runs in the cloud, how will your company’s data be secured? does the software integrate with other corporate systems, such as ERP software? does the application have an easy mobile interface, allowing access to the data from anywhere? After evaluating several products, you should have a short list of applications that deserve further scrutiny. Define several test cases, and work with the vendors to arrange a trial use period. After experimenting with several products, review the products and make your selection. Once you’ve selected the product that meets your criteria, it needs to be rolled out throughout your company. This is both a technical and cultural change; employees may be skeptical of the benefits and nervous about how it will change the way they do business. Plan to spend significant time training employees and getting their buy-in to make the transition to the software a success. Focus on specific business areas where a large number of electronic invoices can be quickly generated, proving the value of the system. When possible, have all of the suppliers that department uses in the system before requiring them to use it; employees quickly become frustrated when purchases from different vendors use different processes. After your roll-out to the initial business areas, take time to review the challenges that were encountered. Be sure to get feedback from the end users after they’ve had the opportunity to work with the system. Use this input to shape your plan for continuing the roll-out to the rest of the business. By making users part of the process and addressing their concerns, you’ll win their support for this project and for future projects that build on this work to improve your procurement and payments processes.